There is a lot on your plate during a domestic move from Portland to another city or state and the preparation required for an international move is that much more. So why not just use a trusted and established international moving service like Schumacher? Our experience and dedicated professionals take care of the move, so you can concentrate on the things you want. 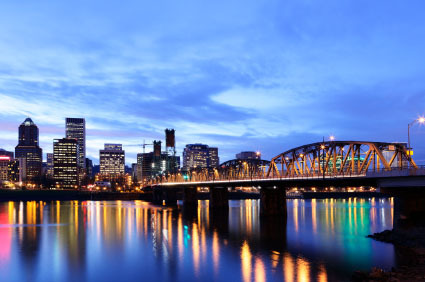 We’ve spent the last 35 years helping individuals and families move internationally from Portland so whether it’s five bedrooms, a single office or furniture, you can expect the best from us. Rest assured that the rate you’ll get is a competitive one and the best for your specific situation because we believe in honesty and providing top value to our clients. With thousands of overseas moves under our belts from Portland and across the U.S., there really isn’t a single place we can’t get your household goods to. We have international shipping locations across the country and no matter where you are moving overseas to and where you are located at, you’ll have options. Your household goods and personal effects can be packed and wrapped by our experts at the time of pickup, but you can also pack everything and we’ll pick up the container when it’s ready. Where are you relocating to? If you are moving from Portland to Europe, you may consider shipping your personal effects from our location in New York. Don’t worry, we handle the cross country transportation! Another option depending on whether you’re using a full container service vs. consolidated is the Los Angeles location. All these types of scenarios can be discussed easily with one of our specialist at 800-599-0190 and you’ll get a quick quote for the international move from Portland to your future residence in minutes. If you want an honest quote from one of our experts or just have some questions, give us a call or fill out our inquiry form. It’s that simple!